The 6 Metre class rule also known as the international rule is generally recognized as producing the most beautiful racing yachts ever built. Used in the 1908 Olympic games these yachts are much sought after and are still campaigned very seriously today. Click here to see the beautiful Sixes in action. As the average working man in the 30s could not afford a full sized 6 meter, he built and raced models to exactly the same formula. 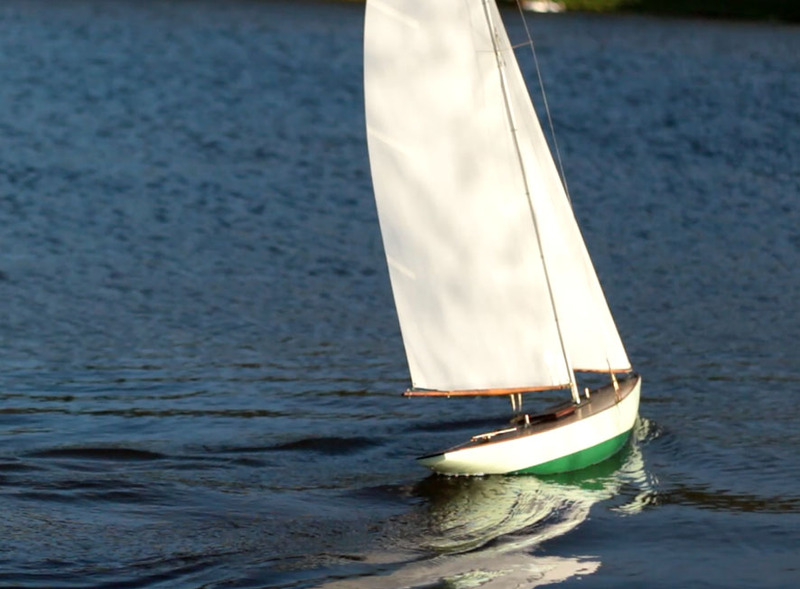 This made the 6 Metre class the only model yacht class that can truly claim to be a miniature of a full sized racing yacht. See how a 6 Metre is measured. The Daniels 6 Mt was designed by Bill Daniels in 1932. He was widely recognized as the top designer of model racing yachts of the period. 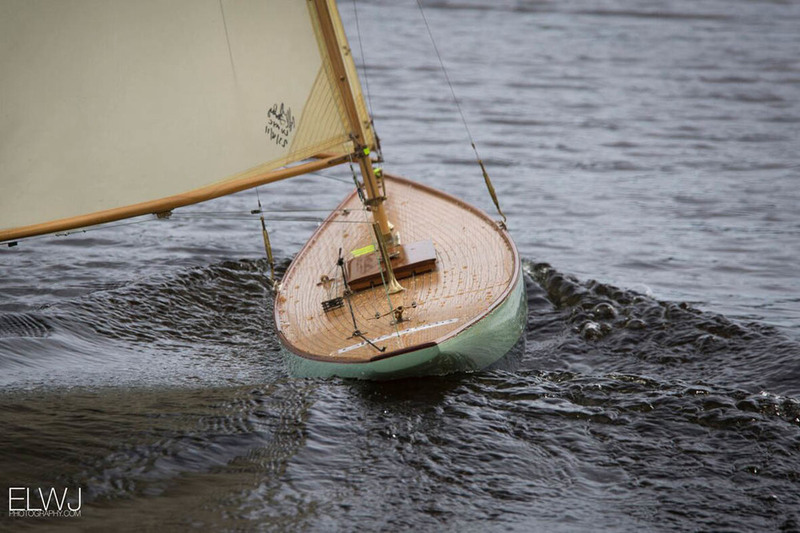 Her hull is constructed from pine wood using the bread and butter construction method. See how our 6 Metres yachts are built. If you would love to own a real classic racing yacht that can be sailed all year round and also displayed at home, then the Daniels 6Mt is the perfect yacht. At 56 1/2 in long she makes a big statement when you walk in the room and nothing short of stunning as she glides beautifully through the water out on the lake see a 6 metre sailing 1 and 2. 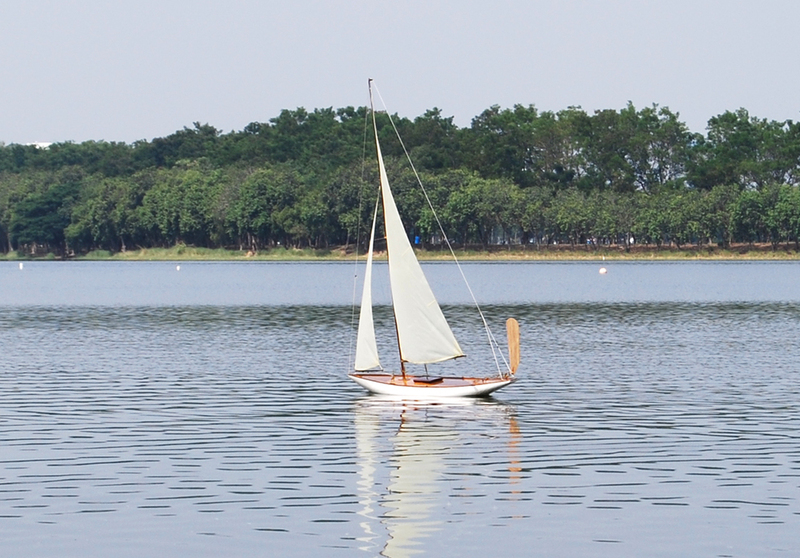 Our 6 Metre yachts are built to order so please feel free to contact us at our shop "The Pond" on tel no 01434 632713 or E mail us at grovepondyachts@gmail.com for more details. 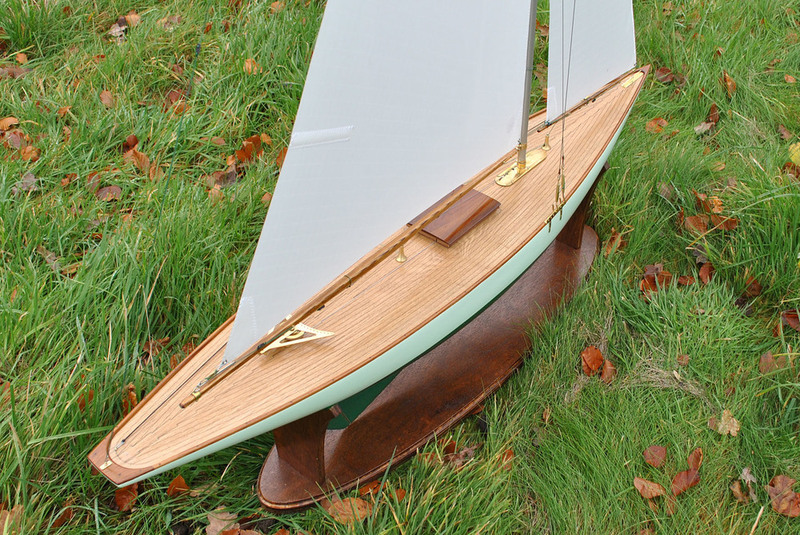 To find out more about 6 Metre model yachting have a look at this excellent site SIX METRE SAILING.